Weather on the Central Coast of California is hard to beat, especially in SLO CAL. With nearly 300 days of sunshine a year, you&apos;ll be basking in the warm rays from coast to vineyard. The end of March marks the official end of winter and the beginning of delicious spring flavors at local eateries and a clutch of family-friendly events that span every interest and desire. Whether the kids are toddling or texting, we’ve got a Spring Break itinerary that’ll have the whole family feeling refreshed. Want to taste the true flavors of SLO CAL? Hit the farmers market, pronto. With more than a dozen farmers markets unfolding across the region on any given week, you’re sure to find something new (and super seasonal) to nibble on. Spring into action: This spring, keep an eye out for citrus, lettuce, asparagus, and so much more ripening right now. Plus, you&apos;ll find unique goods just as jewelry, art, honey, lavender products and more that have all been handcrafted here in SLO CAL. 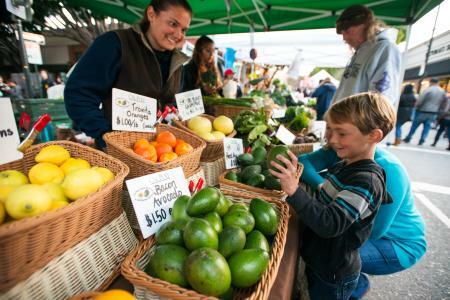 For a list of farmers markets, click here. With historic Morro Rock towering in the distance and salty spray lapping at your feet, Morro Bay is a true family-friendly playground on the coast. Grab the fam and make room for saltwater taffy, kayaking and strolling along the Embarcadero. Spring into action: Check out The Museum of Natural History while you&apos;re here. With events about birding, butterflies and the Morro Bay Estuary, you&apos;ll learn even more about what makes Morro Bay a special place to visit and explore. The kids will shriek with delight as they search for their share of all-important Easter eggs across SLO CAL this Spring Break. After all, they’re only small for just a little while. Hand ‘em an Easter basket and unleash them into the world! 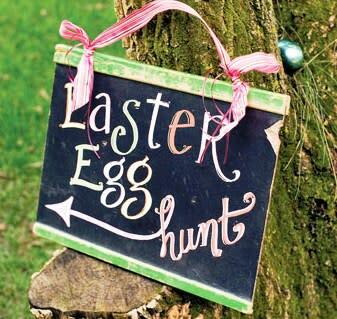 Spring into action: Enchant your little ones with an Easter Eggstravaganza at Dinosaur Caves Park in Pismo Beach or Easter Egg Hunt in Cayucos, both happening March 31. Hungry for a photo opp? Holidays at The Apple Farm are unlike any other. Here, “festive” is taken to a whole new level! March 31-April 1, bring the little ones by this iconic SLO eatery for photos with the Easter Bunny (10 a.m. to 1 p.m. daily). Kids of all ages will enjoy finding creatures lurking beneath the ocean. 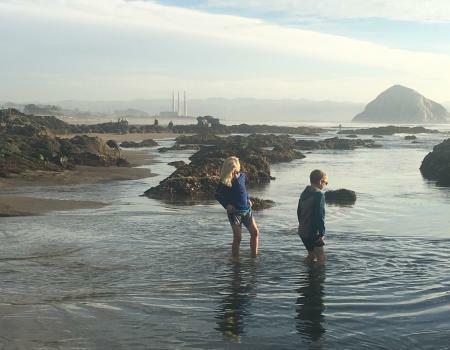 Follow the tide and explore pools teeming with crabs, sea anemones and starfish. 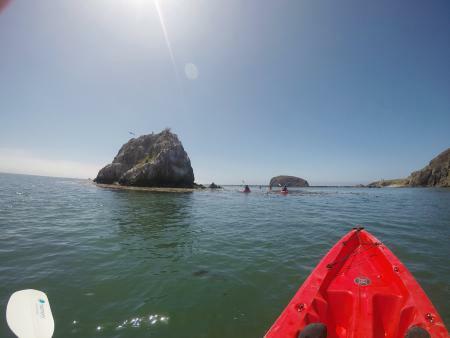 Embark on a kayak tour to learn all about the nature in Pismo Beach, Avila Beach or Morro Bay. Spring into action: Explore sea caves and kelp forests with Central Coast Kayaks in Pismo Beach. Visit with Taco, the resident sea otter of Avila Beach, then kayak out to the Point San Luis Lighthouse with Avila Beach Paddlesports. Count how many different species of birds you can spot from the water at the Morro Bay Estuary with Central Coast Outdoors. Or, grab the kids and head to the Central Coast Aquarium for a day of touch tanks, swell sharks and other interactive educational exhibits. 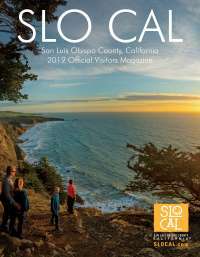 With so many breathtaking trails, parks, and beaches to explore, each Spring day in SLO CAL is rife with possibility. Throw out the plans, pack a picnic, hop on your bicycles, grab the boogie boards or just a few pairs of hiking boots. It’s that simple! 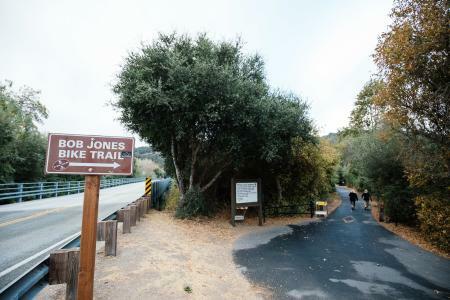 Spring into action: Ride along the paved Bob Jones Trail that meanders from city to the sea. Seeking a more thrilling ride? Make a beeline for Margarita Adventures, where you can soar above vineyards by zipline, take a thrilling wildlife Hummer tour or kayak tour of Santa Margarita Lake. You can also hop on a horse and trot along the sands of Montana de Oro in Los Osos, a prime spot for tide pool exploration and epic sunsets. Looking for even more outdoor activities perfect for your upcoming Spring Break family outing? Click here.